The gesture of throwing in the towel is often frowned upon in sports, for it symbolizes athletes or teams waving the white flag and accepting the outcome of the contest. There is, however, a more literal way of throwing in the towel which, as Rajon Rondo found out on Thursday night, can lead to technical foul. With Minnesota Timberwolves forward Taj Gibson at the charity stripe for the second of two free-throws, the Los Angeles Lakers point guard cheekily threw a towel back towards the Lakers’ bench. Innocent though the gesture might have initially appeared, it did not get past the referees, who assessed Rondo for a technical foul. It’s hard to believe the move was not planned, given the veteran point guard was standing just behind the three-point line and seemed to wait for the moment before Gibson released the ball to throw the towel towards the bench. The trick did not achieve the desired result as Gibson converted both free throws to extend the Timberwolves’ lead to 14 points with 2:12 left in the fourth quarter. The technical foul did not spoil Rondo’s excellent performance. Making his first appearance since injuring a finger on his right hand in a win over the Golden State Warriors on Christmas Day, the 32-year-old finished with 15 points, 13 rebounds and six assists. Brandon Ingram top scored for the Lakers with 20 points, while Kyle Kuzma, Ivica Zubac and Kentavious Caldwell-Pope combined for 33 points. However, that wasn’t enough to prevent a 120-105 defeat on home court as the Lakers lost their third game in a row and slipped to 25-24, 1.5 games behind the Los Angeles Clippers, who currently occupy the last playoff berth in the Western Conference. 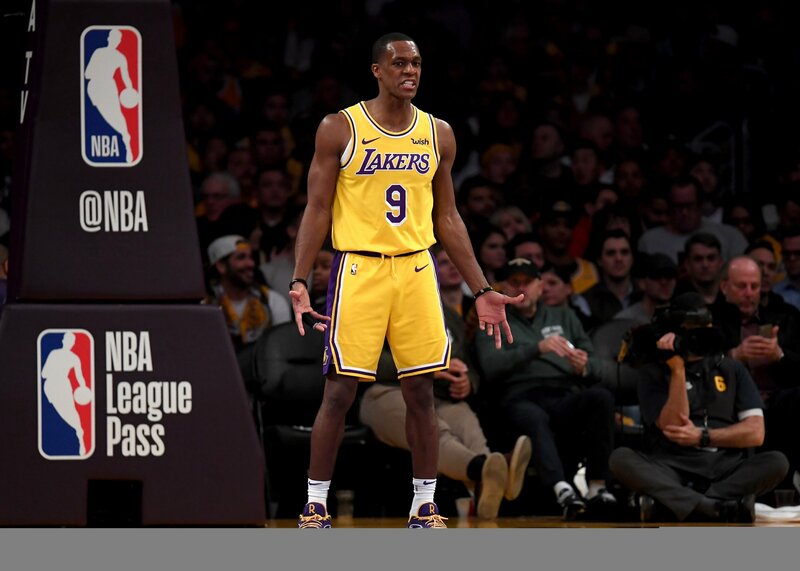 Rondo’s return is welcome news for the Lakers, who went 5-9 without him and LeBron James, who also suffered an injury against the Warriors last month. The Lakers are back in action on Sunday at home against the Phoenix Suns, before hosting the Philadelphia 76ers on Tuesday. Following the matchup with the Sixers, they face a six-game road trip which begins with games against the Clippers and the Warriors, before trips to Indianapolis, Boston, Philadelphia and Atlanta.